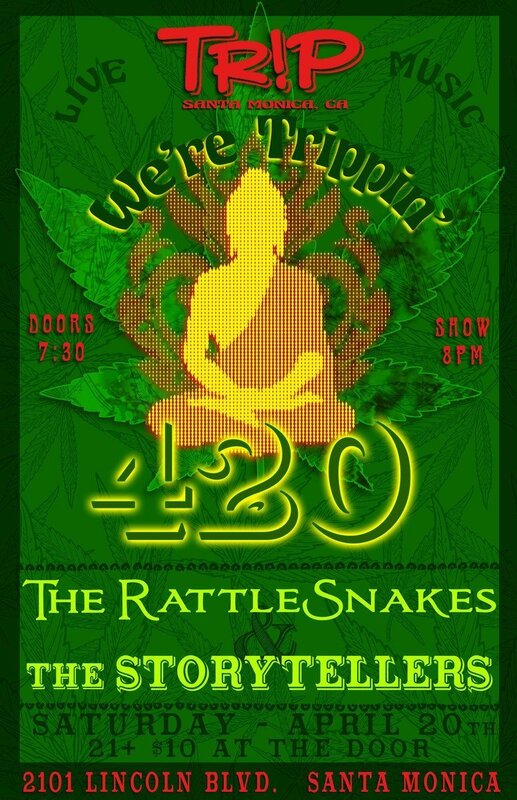 Celebrate 420 Day with the stellar Westside bluegrass outlaws The Rattlesnakes at TRiP Santa Monica! Joining them will be the good-time, hippie, folk music practitioners, The Storytellers. TRiP Santa Monica 2101 Lincoln Blvd. Easy and Free Street Parking! Great Grub if you get “The Munchies”! Come see The Storytellers for some "Food, Fun and Folk Music" at the award-winning independent craft brewery Wolf Creek Brewery in Santa Clarita, CA! Join The Storytellers for their regular "Folky Fourth Friday" residency at Bon Vivant Market & Cafe in Atwater Village. Food, Fun & Folk Music in Old Town Clovis - An Evening of Acoustic Folk, Americana and Bluegrass-inspired Music!